April is National Poetry Month in the US and I’d like to try to post a new poem every day, preferably one I have never heard of before. Because I’m a day late, I will include two poems in this post. I’d like today’s poetry to be about nature, given the subject matter of the Google Doodle, which is a celebration of the 366th birthday of Maria Sibylla Merian. 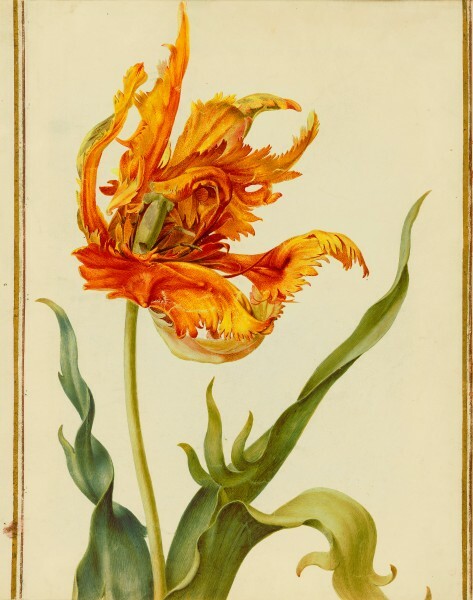 She was a naturalist illustrator from the late 17th and early 18th centuries, and the daughter of a famous engraver. She and her daughters, according to the Christian Science Monitor and the J. Paul Getty Museum “were not just extremely talented artists. 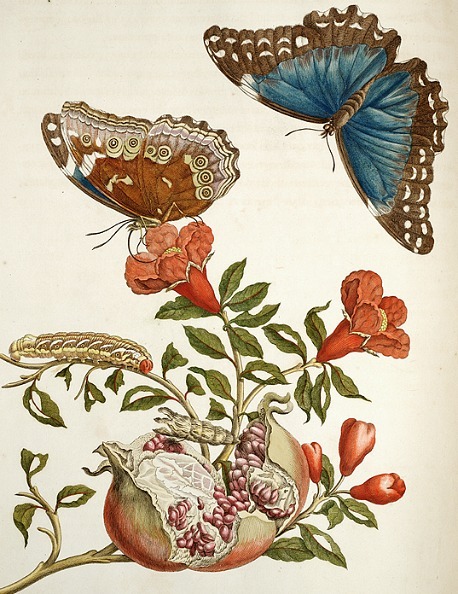 They were also pioneers who raised the artistic standards of natural history illustration and helped transform the field of entomology [the study of insects].” She studied caterpillars at an early age and drew their stages of development, and eventually published a book entitled Caterpillars: Their Wondrous Transformation and Peculiar Nourishment from Flowers, which helped in particular to further the study of entomology. Her other incredibly famous work is her three-volume set of the New Book of Flowers, which “became model books for artists, embroiderers on silk, and cabinetmakers, and the copies that have survived today are heavily used because of that influence.” She was also famous for creating another insect book while she and her youngest daughter were living in the Dutch colony of Suriname, in South America. Below are two examples of her work. Or granite, marl, and shell. Of all the zones, and countless days. Two colors! Red and white. A barber's bowl! From the chimneys. Everything is still. Eats his kill. Two colors. It is in reality a nice and helpful piece of information. I am glad that you simply shared this helpful information with us. Please stay us up to date like this. Thanks for sharing. I had a quick question in which I’d like to ask if you do not mind. I was curious to know how you center yourself and clear your thoughts before writing. I have had a hard time clearing my mind in getting my thoughts out there. I truly do enjoy writing but it just seems like the first 10 to 15 minutes are generally lost simply just trying to figure out how to begin. Any suggestions or hints? Thanks! Before this month, it took me forever to come up with a topic and finish the post. The reason it is different this month is more about trying to post everyday. I’m not sure I’m that centered, lol, as most of the time I’m writing the post at work in-between projects or when I’m at home trying to take care of my toddler. I just try to find as much information about the topic before I start and then just pick and choose what I want to use and write. Everyone is a bit muddled when they first start, you just gotta take some time to focus and concentrate on the writing before you begin. I will right away grasp your rss as I can’t in finding your email subscription hyperlink or newsletter service. Do you’ve any? Please let me recognize in order that I may subscribe. Thanks. The email/follow button is on the right side of the screen under the archives.